Home / Blog / Do you have a phobia? Phobia is defined as a type of anxiety disorder, defined by a persistent and excessive fear of an object or a situation. The phobia typically results in a rapid onset of fear and is present for over six months. Many of us think of our basic or rational fear as a phobia. To say in detail, it is obvious for a person to be scared of snakes or tiger as they are deadly and vicious animals that can eat you up alive. But fears like as a fear of height, water, dark, night, cat, people etc. These fears are irrational and very extreme and they might lead to a panic attack if the host comes in contact with it. These phobias are usually formed due to an occurrence in past, an insidious event. 3. Agoraphobia: which is the fear of being alone in public places from which there is no easy escape. 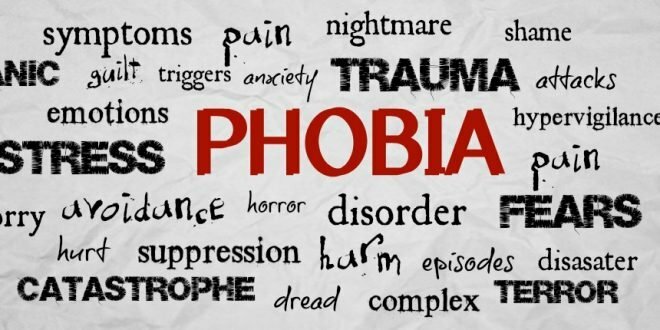 Now , these few enlisted phobia seems very common and you may feel that you might have almost every phobia in the list but trust me, you might not have even a single one in it. You see, phobias are the so extreme that they start controlling you and you can’t do anything about it if come face to face with your phobia. Fear of losing someone, being alone, being forgotten, seems like you but these very much extreme in nature. It is a kind of disorder and it may be inherited in you through any memory if your ancestors. A memory influential enough can leave its prints on one’s mind and may be passes down to generations. An Indian movie “Phobia” displays the Agoraphobia through a girl who is scared to ever go out of her house again and continues suffer inside as well. Another Thai movie Phobia displays a variety of Phobias in people that ends up feeding on the host.